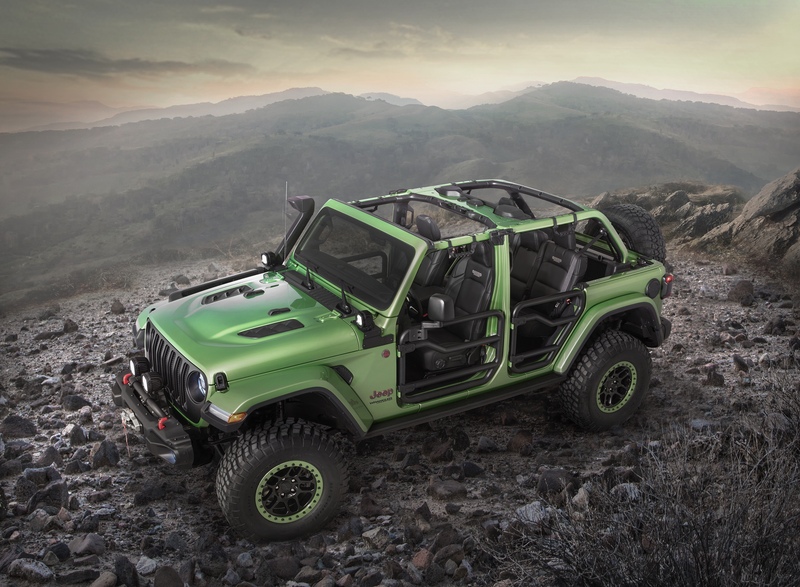 I’ve been saying for a while that “Scrambler” would have been a more fitting name for the JT pickup truck; Jeep reveled the JT Scrambler concept truck for Easter Jeep Safari. The JT Scrambler has an obvious esthetic throwback to the last open air truck that Jeep produced. Stripped decals and a tan hardtop were often found on the CJ8 Scramblers. full of available Mopar accessories, I hope to see a Scrambler edition make its way to production.